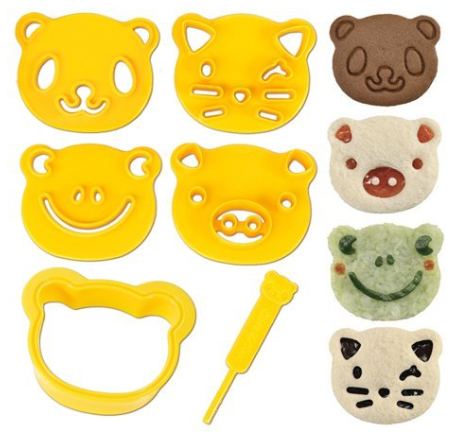 CuteZCute Bear Animal Friends Food Deco Cutter and Stamp Kit $9.98 + FREE Prime Shipping! You are here: Home / Great Deals / Amazon Deals / CuteZCute Bear Animal Friends Food Deco Cutter and Stamp Kit $9.98 + FREE Prime Shipping! How cute would these be in your kids lunches (or even cookies! )… Well, right now, you can snag this nifty CuteZCute Bear Animal Friends Food Deco Cutter and Stamp Kit for ONLY $9.98! Plus, FREE 2-Day Shipping is available with Amazon Prime or FREE with orders of $35 or more (sign up for a FREE 1 month trial here)!